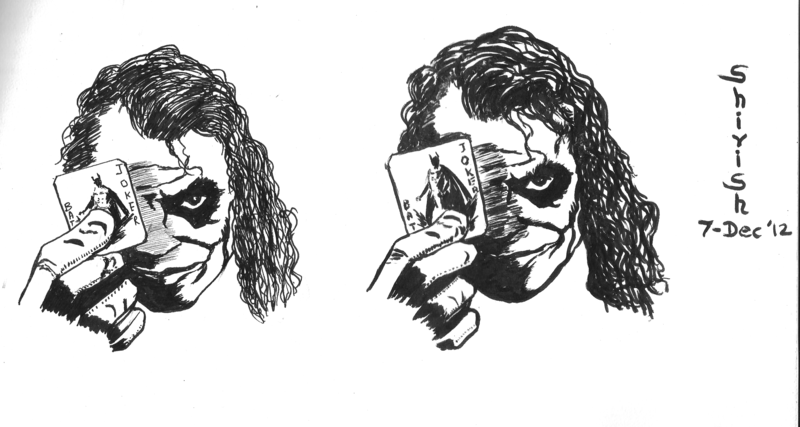 These are 2 sketches of Heath Ledger in his immortal role as The Joker in The Dark Knight. These are done freehand from a photo reference. I sketched the one of the right using Pigma Brush pen, while the one one the left is done using Pigma fine point pens.